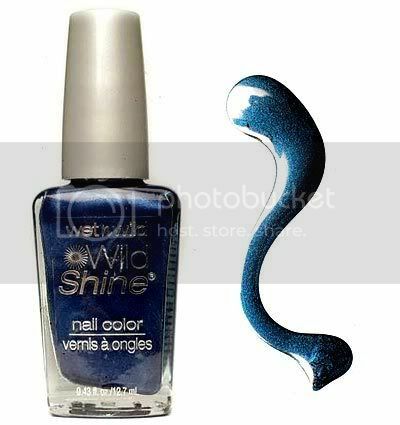 Out with the old and in with the blue…nail polish that is! If you’re a little tired of black or red polish try one of the many blue polishes out that range from from dark metallics to lighter electric blues. 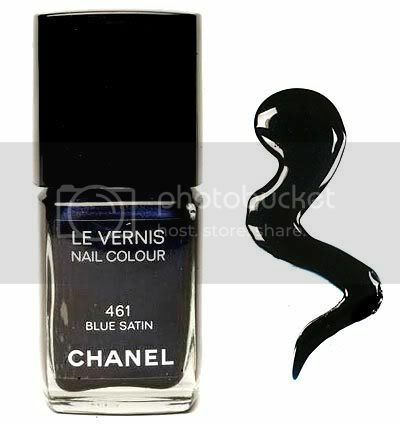 Last year Chanel Black Satin was all the rage and this year Chanel has introduced Blue Satin. Word on the streets is that this pretty blue bottle is selling out fast, so run to a luxury retailer or Chanel boutique near you before it is completely sold out. Peep the pics after the jump of other polish options that range in color and in price, from $0.99 to $8. “Partner let me upgrade you,” yeah Beyonce said it best. 2009 ladies, it’s all about the UPGRADE! Whatever it may be: your job, your bank account, your kit, your man . . . you’re worth the best, so think big, go hard and trade-up! To inspire you on your journey for success we are starting the year on top . . . and what brand wouldn’t be more goal worthy than Chanel? Yeah, we thought you might agree. Presenting M.I.S.S. January 2009, lovingly nicknamed, “Chanails,” we bring you a mani inspired by all things Chanel: interlocking CC’s, the cap-toe, tweed, chain-link, quilting . . . luxluxlux!!! Your mantra for the new year: “Two Thousand and MINE!” We here at M.I.S.S. wish you a year of love, health, wealth and the real deal . . . no Canal Street specials here ya’ll! This is the Fo’ Real not the Faux Real and yes those boxes are full. You can download the M.I.S.S. January 2009 Calendar here and the Desktop here. Three finger pearl ring by Chanel (2001), Chanel Sneakers (year unknown), Chanel Le Vernis Nail Colours: Black Satin, Gold Fiction and Blanc Ceramic.